External hard drives allow you to vastly expand your available storage in an instant. There’s no need to open up your machine, and the cost involved is relatively minor considering the price of a new internal solid state drive. While most external hard drives will work with just about any Mac, not all storage devices are created equal. If you have a modern MacBook, you’re limited by your selection of ports. Other Mac users may be interested in high-speed transfers via Thunderbolt. So here are the seven best external hard drives for Mac to consider if you’ve run out of space. Western Digital’s My Passport external drives have become somewhat of a household name for cheap external storage. The latest iteration has made the jump to USB-C, which is perfect for modern MacBook owners who only have USB-C ports available. The drive includes cables for connecting to both reversible USB-C and old school USB-A connectors. These drives are available with 1TB, 2TB, 3TB, or 4TB of storage in either a standard plastic or sturdier metal enclosure. This particular drive is formatted to work with macOS out of the box. However, you will probably want to reformat it to macOS Journaled or exFAT, depending on what you plan to use it for. Apple developed the Thunderbolt high-speed interface in collaboration with Intel, and it’s appeared on the company’s products for years. LaCie’s d2 Thunderbolt 3 drive builds on this technology, with full Thunderbolt 3 compatibility for transfer speeds up to 240MB/sec. Since Thunderbolt is an active connection (meaning it’s powered, unlike passive USB), you can daisy-chain multiple devices together Use a Thunderbolt Daisychain to Connect Your Mac Accessories Like a Boss Use a Thunderbolt Daisychain to Connect Your Mac Accessories Like a Boss Not many people know what daisy chaining is, why it's useful, or why Thunderbolt is so important for it. 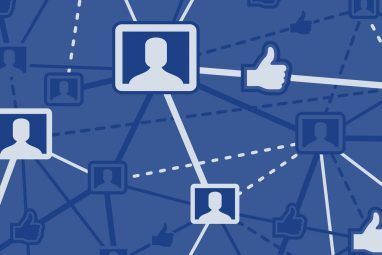 Read More and even charge a modern laptop with 15W of USB-PD power. 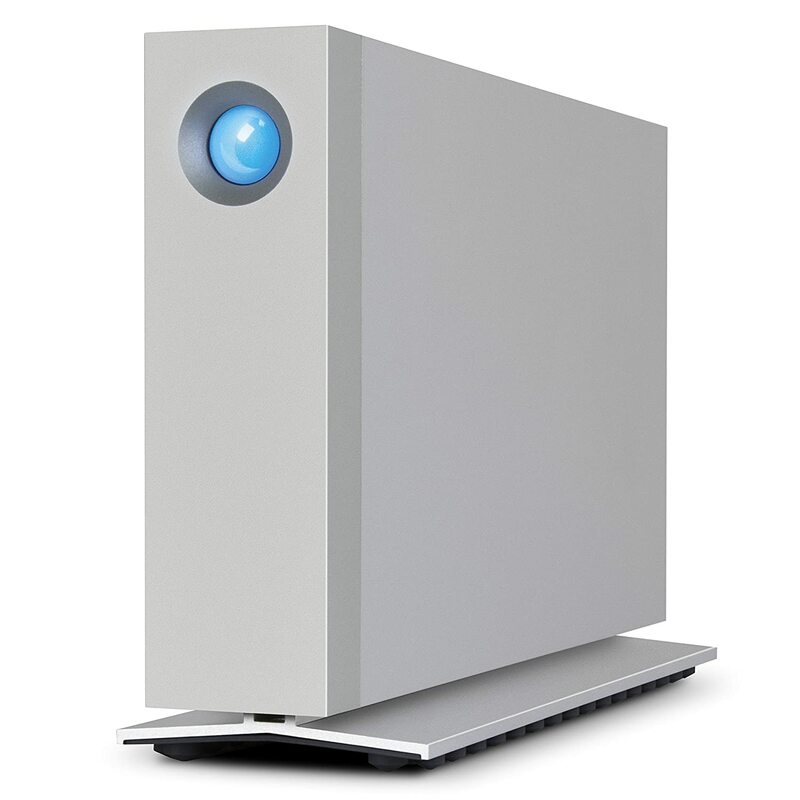 LaCie has opted to use 7200RPM Seagate Barracuda Pro internal drives. This limits the speed compared to an SSD, but provides great bang for your buck. LaCie’s d2 is available with 3TB, 4TB, 6TB, 8TB, or a whopping 10TB of storage. It also comes with fallback USB 3.1 compatibility for machines that aren’t Thunderbolt compatible. What’s better than an external hard drive? And external solid state drive, of course. Solid state drives do not use moving parts and offer much faster read and write speeds than traditional hard disk drives. 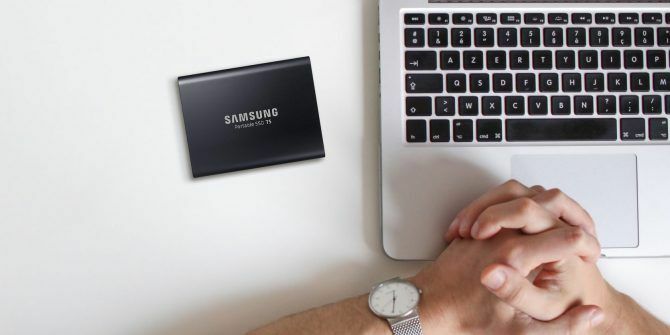 Samsung’s T5 Portable SSD is an all-metal external drive that offers speeds of up to 540MB/sec over USB 3.1. Unfortunately there’s no Thunderbolt connection, but this drive is still dizzyingly fast compared to its spinning-platter based rivals. 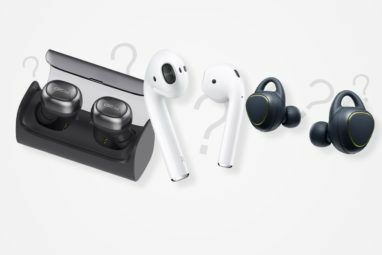 There’s optional 256-bit AES hardware encryption, a three-year warranty, and both USB-C and USB-A connections in the box. The only drawback is the price. It’s available in 250GB, 500GB, 1TB, and 2TB sizes—which option you pick may depend on how much money you have to spend. Like the Samsung T5 above, SanDisk’s Extreme Portable SSD is built for speed. According to SanDisk you’ll achieve speeds of up to 550MB/sec over USB 3.1 (still no Thunderbolt). You can choose from storage sizes of 250GB, 500GB, 1TB, and 2TB depending on your budget. SanDisk has gone the extra mile to ensure this is a rugged drive. It meets the IP55 rating for water and dust resistance. Plus, as it’s an SSD, it’s naturally more shock resistant than standard hard drives. SanDisk claims the drive can withstand temperatures between -4 and 158 degrees Fahrenheit when not in use. If you’ve got the money to spend, you can combine the zippiness of an SSD with the blazing-fast transfer speeds available over Thunderbolt 3. Offering read/write speeds of 1600/1100MB per second, Archgon’s X70 is the fastest single-volume drive on this list. The drawback is that it’s only compatible with Thunderbolt devices, so make sure your Mac has a compatible Thunderbolt port (not just USB-C) Making Sense of USB-C and Thunderbolt Cables and Ports on Your MacBook Making Sense of USB-C and Thunderbolt Cables and Ports on Your MacBook Wondering what USB-C and Thunderbolt are, and how these types of cables affect your MacBook? Here's everything you need to know about your MacBook ports. Read More . The body is made of an aluminum alloy for superior heat dissipation. As a result, the unit is light and portable. There’s no need to carry a power supply, since the drive draws power from your computer. You can get the X70 with 240GB, 480GB, or 960GB of storage. In some circumstances, an external drive with wireless access may prove useful. The Western Digital My Passport Wireless Pro is one such device that includes 802.11ac wireless. This allows you to connect to existing wireless networks or create a hotspot where no networks are available. The drive is a jack of all trades. It includes an SD card reader for backing up memory cards without using a computer, a 10-hour built-in battery, and even works as an external USB power bank The Best USB-C Chargers: What's Safe and What's Dangerous? The Best USB-C Chargers: What's Safe and What's Dangerous? What are the best USB-C chargers? Benson Leung and Nathan-K's roundup of the best chargers on today's market can be complex to read. Fortunately, we've simplified it for you! Read More . It’s pricey, and wireless transfers may be slow, but the tradeoff could be worth it if you’re in need of a self-powered wireless drive. You can pick up the My Passport Wireless Pro with 1TB, 2TB, 3TB, or 4TB of storage. You can also use it to stream photos and (up to 4K) video to mobile devices using Western Digital’s own app. The Akitio Thunder 3 RAID station isn’t strictly an external drive—at least not when you first buy it. Couple it with up to two external volumes of your choosing (either 3.5″ or 2.5″), though, it becomes a capable beast. You can use RAID 0 and 1 to back up one volume, or share two drives as a single volume to cut transfer speeds in half. The installation of those drives requires no tools. You can use the SD card reader to back up your camera photos, and even charge some laptops using 27W USB-PD compatibility. Transfer speeds depend largely on which drives you use and whether you’re using RAID 1 or 0, but Thunderbolt 3 ensures your connection to those drives is as fast as possible. Check out our other recommendations for Thunderbolt RAID arrays for your Mac 5 Thunderbolt RAID Systems to Serve Your External Data Storage Needs 5 Thunderbolt RAID Systems to Serve Your External Data Storage Needs RAID systems are awesome for external storage, and with Thunderbolt 3, they're faster than ever. Here are the best Thunderbolt-compatible RAID units. Read More . External drives are the easiest way of adding useful storage to your MacBook, but they aren’t perfect. Be careful with hard disk drives (HDDs) since they can damage easily as a result of their moving parts. Opt for an SSD if you can afford it, but be aware you may have to settle for less additional storage than you may like. And be sure to read up on which Mac file system is best for an external hard drive. If you’re perpetually low on storage, it might be worth looking at what you can do to free up space on your Mac Everything You Can Do to Free up Space on Your Mac Everything You Can Do to Free up Space on Your Mac Your Mac only has a limited amount of available disk space – even more so if you're using a laptop. It's time to fight back and free up some serious space. Read More . Explore more about: Buying Tips, Hard Drive, Storage.